Home > Resources > Transfer > How to Transfer Photos to iPhone X or iPhone 8? - Just want to transfer photos to the iPhone X or iPhone 8 for backup. No matter which situation you are in, you are searching for solutions to transfer photos from one phone to the new iPhone X or iPhone 8. Well, congratulations that you are in the right place. Here in this post, we mainly talk about how to transfer photos from your old phone, no matter Android phone or iPhone, to the new iPhone X or iPhone 8. The tool we want to introduce to you is the iPhone Photos Transfer. As a fantastic phone to phone data transfer program, it enables you to transfer not only photos, but also contacts, text messages, call logs, videos, music, apps and more to iPhone X or iPhone 8 from any other mobile phones. 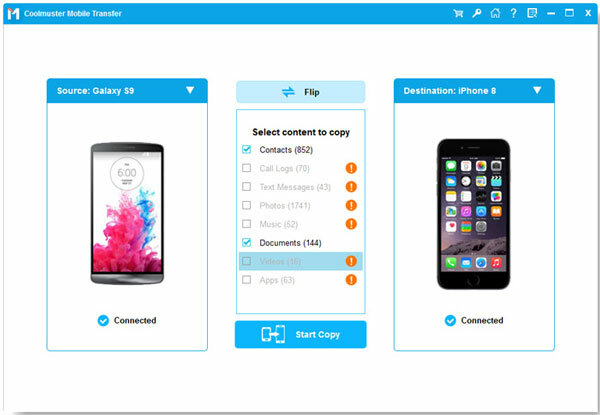 It supports all types of Android, Symbian and iOS devices, including Samsung, HTC, Google Nexus, Huawei and iPhone 7/7 Plus/6S/6/5S/5/SE. After you have downloaded and installed the program, the main window will pop-up like the following picture shows. 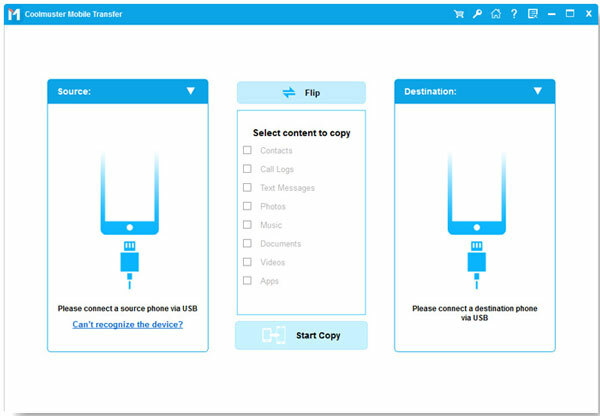 Then, choose "Phone to Phone Transfer" section from the primary interface. Make sure the new iPhone is on the right, select the "Photos" tab from the middle of the window, and then give a click on the "Start Transfer". After that, all photos on your old phone will be transferred to the new iPhone X or iPhone 8 instantly.